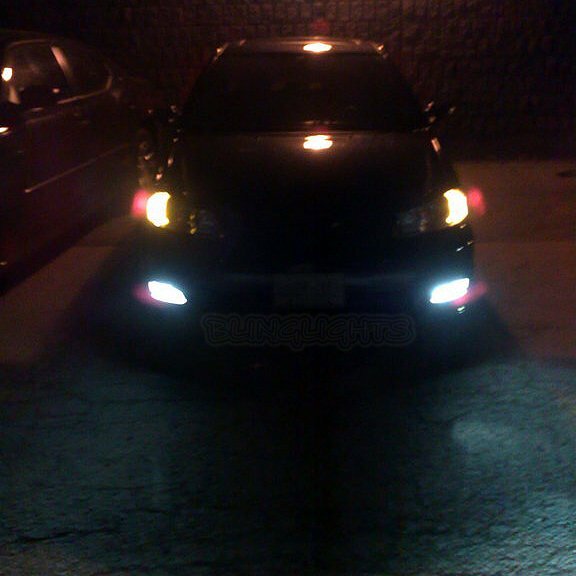 Factory fog lamps cost upwards of $360 BlingLights fog lamps install within the factory fog lamp spots, outperform the factory fog lamps and cost less guaranteed. Your favorite ride never looked so good. This listing includes a complete fog lamp kit for use on the model shown above without the factory fog lamps or as a replacement for existing factory fog lamps. This listing includes everything needed to install and requires no other parts or extensive modification. Hella offers the performance and brightness of Xenon H.I.D. bulbs and have photometrically designed hardened glass lenses that pierce through the darkness in any weather condition. Glass lenses die-cast metal housings measuring 2.6" High x 4.3" Width x 3.2" Diameter, adjustable mounting brackets, illuminated factory-style style push button switch, deluxe wiring kit with relay and fuse, install directions and more all included. Does the kit include everything I need? Yes, the kit includes 2 lamp enclosures for left and right side, powerful H3-55 watt 4100K bulbs, adjustable mounting hardware, complete wiring kit with relay and fuse, switch, photo installation directions, free phone and email support and 1 year warranty. What types of bulbs come with this kit? Two powerful, genuine Hella H3 bulbs with an output of 55 watts a piece, 110 watts total! These bulbs are designed for maximum output and durability. The bulbs generally last many years without the need for replacement. There is a good chance the bulbs will outlast the life of the vehicle. H3 replacement bulbs are a common size bulb and can be purchased through us or anywhere else automotive bulbs are sold.